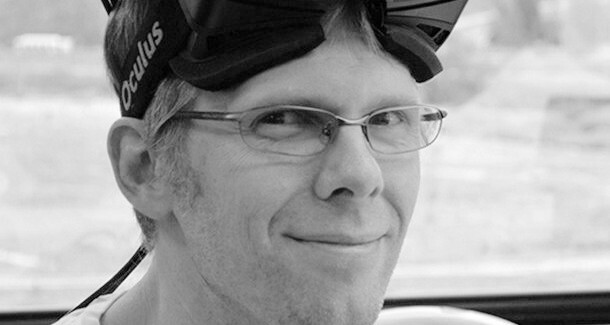 Oculus CTO John Carmack, is one of the most respected and legendary game developers in the industry today. Nearly a week after the unexpected announcement of Facebook’s acquisition of Oculus VR, Inc., for $2 billion—Carmark finally expressed his opinions surrounding the Facebook deal, and the firestorm that followed from upset Oculus Rift supporters. In a blog post by chiptune musician Peter Berkman, Carmack wrote that he was “not personally involved in any of the negotiations” that took place behind the scenes with Facebook. In fact, the acquisition seemed to come as a surprise to Carmack. “I spent an afternoon talking technology with Mark Zuckerberg, and the next week I find out that he bought Oculus,” he added. In his response to much of the criticism over Facebook’s data mining practices, and advertising polices—Carmack did not share the same concerns. “I’m not a ‘privacy is gone, get over it’ sort of person, and I fully support people that want remain unobserved, but that means disengaging from many opportunities. The idea that companies are supposed to interact with you and not pay attention has never seemed sane to me,” he wrote. This concern seems to be at the center of much of the backlash. While data mining has benefits of achieving unique, and creative interactions that enhance a user experience, the controversy surrounding the possibility of unethical data mining practices by companies is not easily dismissed. These are genuine concerns on the mind of many, and as new technologies continue to emerge that connect us deeper to simplify our everyday lives it is natural to expect this debate to continue at the forefront of a data driven society. Regardless, of your stance on the issue theres one thing for certain, virtual reality is finally on the path toward becoming the next big platform. And a company like Facebook with its near infinite deep pockets, and massive active user base, puts Oculus in the right position to bring VR to masses on a global scale.